How can I find out more about hill walking? There is lots of information on the internet about hill walking, the trick is to find ways to filter through to information that relates to the type of walking that you want to do. Some people do hill walking for health, but the truth is that there are as many reasons to start walking as their are places to walk. If you like social media, look for Facebook groups in your area; for example, if you search for ‘Walking Devon’ in ‘Groups’ on Facebook, you will find several groups with different walking interests. 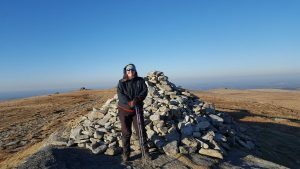 Hill walking blogs too are a great way of finding out more about starting hill walking. You usually find that people who enjoy writing about a topic enjoy doing it too and, generally speaking, walkers are pleased to encourage others to share their passion. 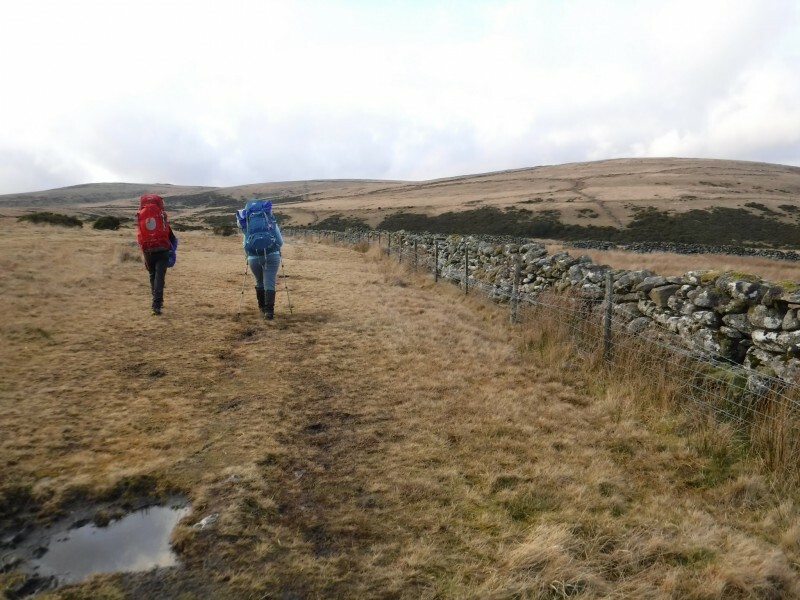 We obviously recommend Two Blondes Walking but Cumbrian Rambler and Andy Howell’s Trekking and Backpacking blogs are also great for encouraging beginners. What hill walking equipment do I need? Walking equipment can be expensive and you generally get what you pay for but don’t let that put you off. These days you can get perfectly good start walking gear at budget stores such as Millets and Mountain Warehouse. If you decide that you enjoy hill walking (and we think you will) you can always sell your budget gear on to another budding walker and treat yourself. How can I find other people to go walking with? Finding other people to walk with can be a sticking point for lots of people. We enjoy company for lots of reasons and walking with experienced walkers can encourage us to explore different places and gain confidence. The good news is that walkers are a sociable bunch and there are lots of walking groups out there eager to greet new members. The Ramblers run hundreds of walks every week at six different levels (we recommend starting small) including child friendly and dog friendly walks. You are allowed to try out a walk for free but membership is encouraged if you want to continue walking with them. 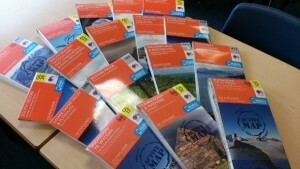 Another great way to find people to go walking with is to look out for walking festivals. These are becoming more and more popular and most offer beginners or easy walks that will suit anyone getting started in walking. To find a walking festival near you, check out Ordnance Survey’s Walking Festival page, you might even spot a couple of Blondes in August. We have taken part in both the Dartmoor Walking Festival and the Walk Scilly Festival on the Isles of Scilly and can recommend both. How can I find walking routes? The Ramblers have walks on their website and many walking blogs also offer advice about local and UK wide walks. We specialise in Dartmoor walks but for UK wide walks with proper Ordnance Survey mapping, we recommend you try a 7-day free trial of OS Maps, which offers a whole range of walking routes that you can access on your mobile device and use whilst walking. HOWEVER mobile devices ARE NOT a substitute for good map and compass skills. We run navigation courses on Dartmoor but there are providers all across the UK. 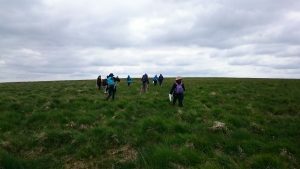 Before you book navigation training or guided walks with any provider, make sure you check that they have the appropriate walking qualifications. We hope our beginners’ guide to walking will encourage you to take your first step into the world of hill walking. If you do, we can guarantee that it won’t be your last. Have fun, stay safe and let us know how you get on.